Let our top rated training master lead your next corporate training workshop or seminar. 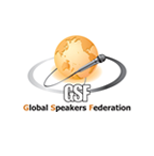 Our master has won numerous national and international public speaking and professional awards and is also an active member of the very prestigious National Speakers Association. Our workshops and keynotes are customized to fit your needs and corporate culture. Copyright Deanne Demarco | Designed by EPhost, Inc.